Win a Chance to Compete for a NEW 2019 Mercedes-Benz Worth $49,195! Do you half what it takes? 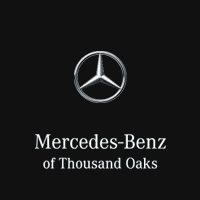 As an official vehicle partner of Pepperdine Waves men’s basketball – and Malibu’s own luxury car dealership – Mercedes-Benz of Thousand Oaks invites you to enter to win a chance to compete for a NEW 2019 Mercedes-Benz C-class sedan valued at $49,185! Six entrants* will be selected at random to attend the March 2nd, 2019 game at Firestone Fieldhouse vs. Pacific. 4 Shots. 3 Contestants. 1 Car. Enter for Your Chance to Compete TODAY! Current or form Olympic basketball players and coaches who have played or coached at that level anywhere in the world within the past five (5) years.